Buy Natural by Nature Ylang Ylang essential oil - 10ml in the UK from our online shop or directly from our independent Scottish store. If you want to automatically receive an email when 'Ylang Ylang Essential Oil 10ml' is back in stock, just leave your email address below. Ylang Ylang (Canaga odorata) essential oil from the flowers. Natural by Nature's Ylang Ylang (Canaga odorata) essential oil is from the flowers. This desirable and calming oil has many romantic virtues. It has an exquisite aroma and blends well with all of the woody oils. A few drops of Cinnamon will give the blend a touch of spice. Another delightful blend is Ylang Ylang with Frankincense and Neroli. This distinct aroma is intensely sweet and makes a strong impression on its own but is also slightly spicy with a rich, soft, warm top-note. It has a very intriguing, heady, exotic perfume. 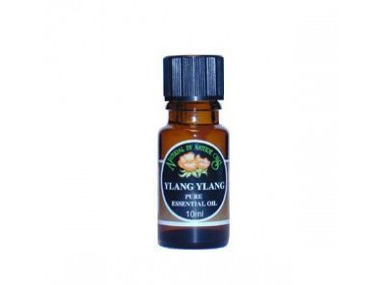 Where can you buy real Ylang Ylang Essential Oil 10ml safely online? If you are wondering where you can buy Natural by Nature Ylang Ylang essential oil - 10ml safely online in the UK, then shop with us. Ylang Ylang Essential Oil 10ml - Natural by Nature Ylang Ylang essential oil - 10ml in Essential Oils and Aromatherapy.